Living in a place where the earth and the sky meet in the form of snow covered peaks has humbled me these past nine months. 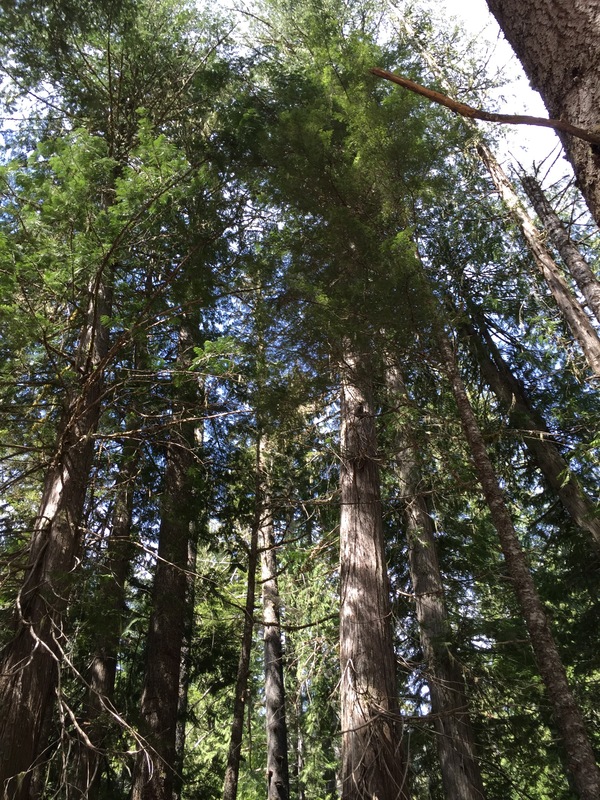 It’s impossible not to feel like you’re just one speck of dust on this grand earth when standing in a grove where the trees are as tall as skyscrapers. Being in Washington has made me thankful and it has turned me into a dreamer once again. My ability to dream was always something I held fast to, because it meant that my “situation”, whatever that was, could change. I could dream of something better, something more. The part of me that dreamt all the time got lost for a while, shoved into a tiny corner of my heart because the demands of my career took over everything. 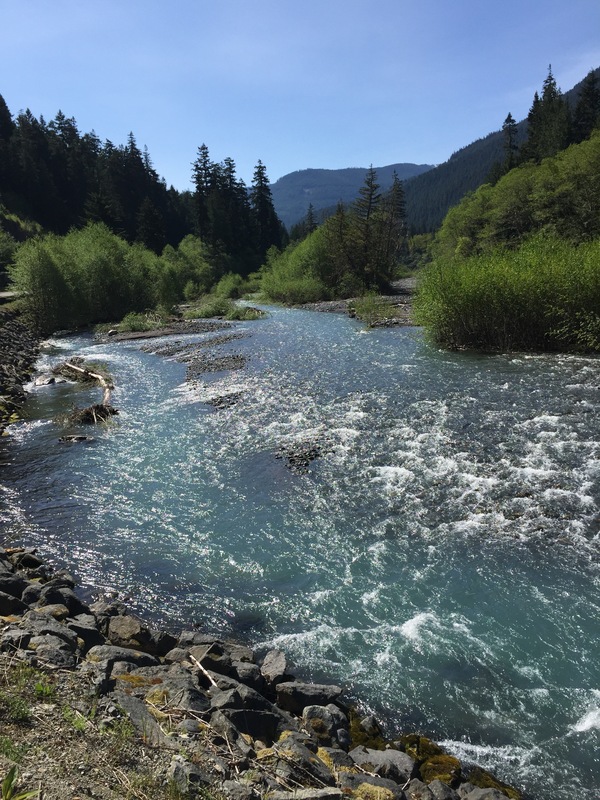 But now, when there are places like the Puget Sound and Mount Rainier National Park just beyond my doorstep, the dreamer in me is alive again. And she’s happy. Tim and I love to explore. We’ve been doing it regularly since we moved here, and we look forward to our weekends where we hop in either his car or mine and head out into parts unknown. Some couples do date nights – we do “exploratory expeditions.” My Psoriatic Arthritis is currently in flare mode, so hiking and really going off-trail is an impossibility right now thanks to burning back pain and joint stiffness. The great thing about Washington, though, is that you barely have to leave your car to be inspired and awed. 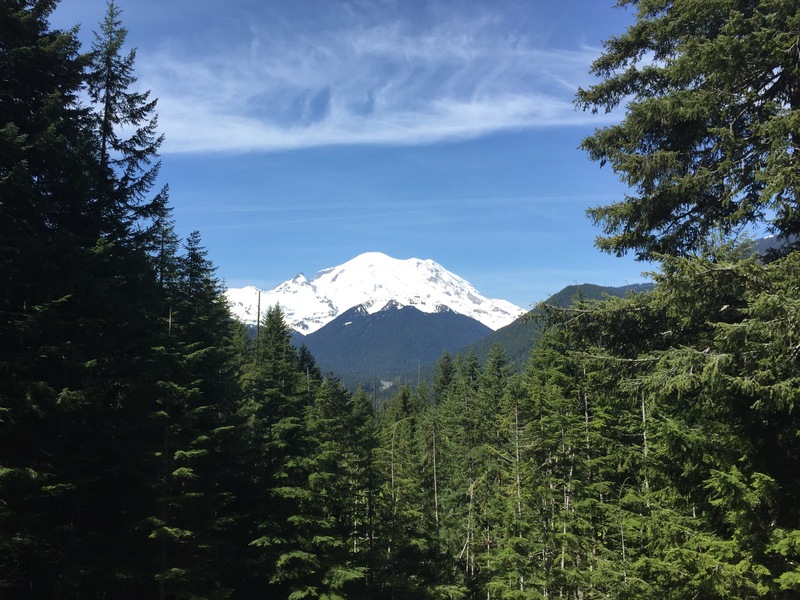 Yesterday’s exploratory expedition took us down Highway 410 from Enumclaw into Mount Rainier National Park. 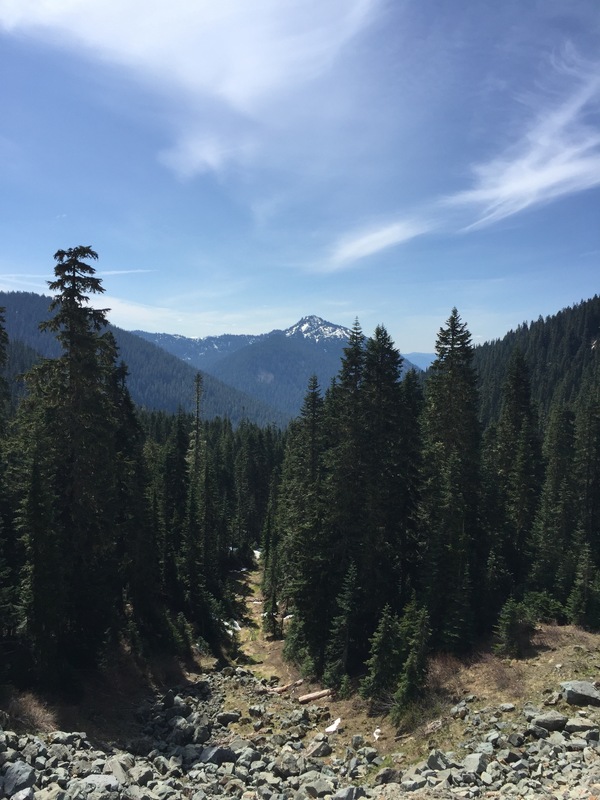 I wanted to drive up to Chinook Pass and take in the sights along the way. I knew we were only scraping the very surface of what this majestic piece of land offered us, but you gotta start somewhere, right? We were not disappointed. 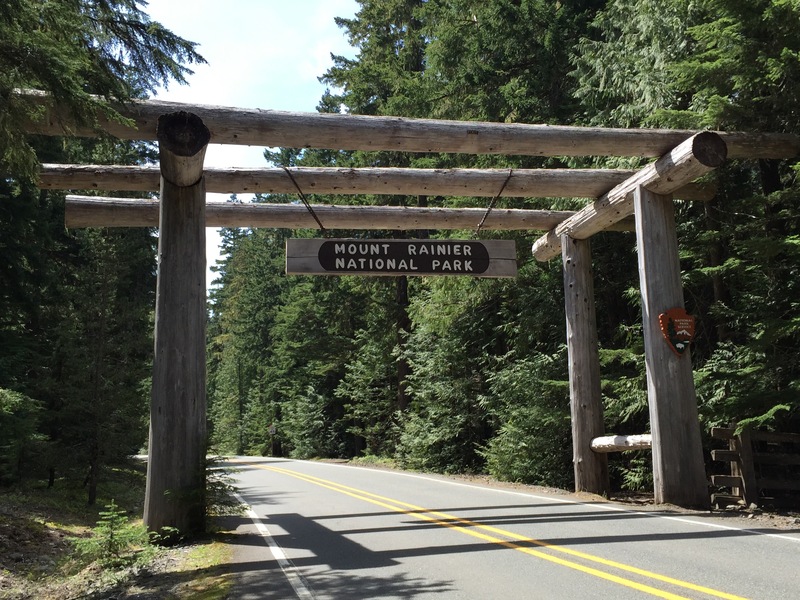 The northeastern entrance to Mount Rainier National Park, off Hwy 410. 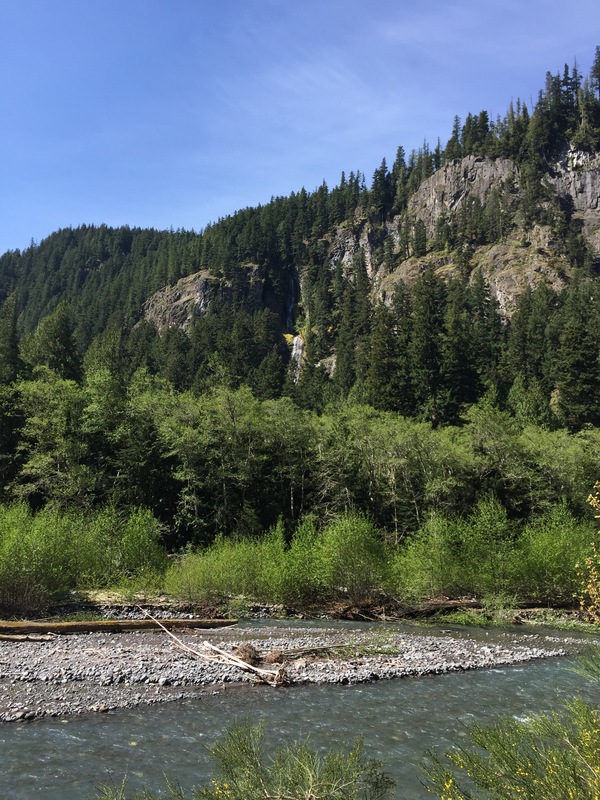 Our first stop, Skookum Falls, and the White River (sourced from Emmons Glacier on Rainier) beneath it. The blue water and crisp mountain air are unparalleled. Our next stop was the Mount Rainier viewpoint at about 3210 feet. A popular spot along the route, the view of the volcano and its glaciers is breathtaking. 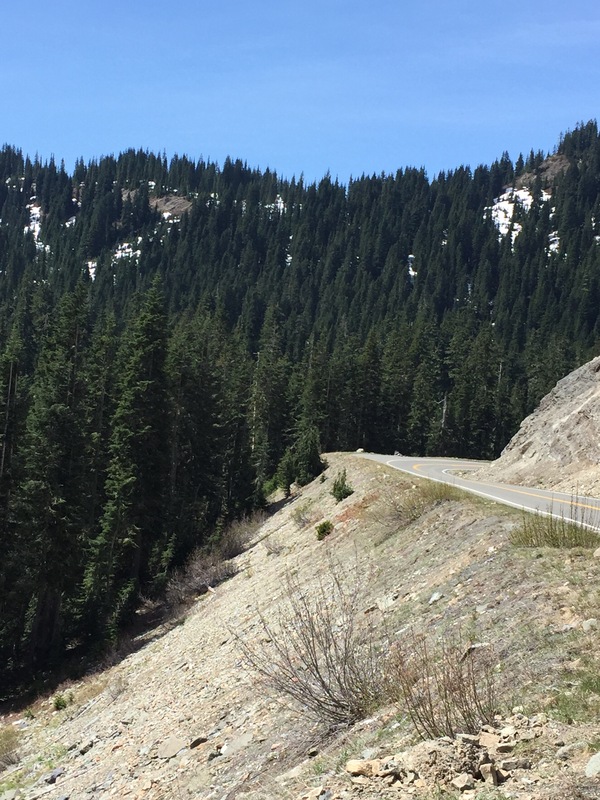 Our next stop was just a little pullover spot at about 4700 feet elevation. The roads here are a little unnerving! 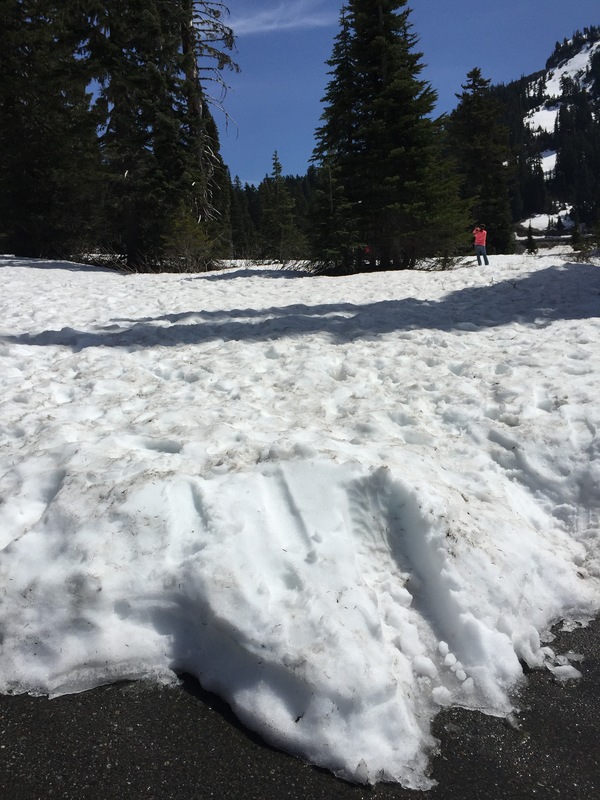 After going through the hairpin turns of Chinook Pass, we stopped at the parking area of Tipsoo Lake because we had found the snow! Elevation her was about 5300 feet. 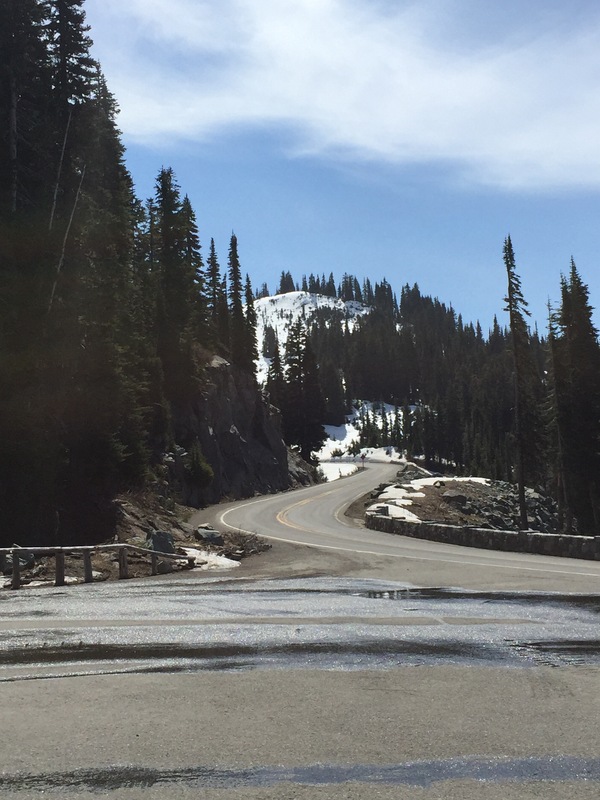 Chinook Pass and the pretty snow. 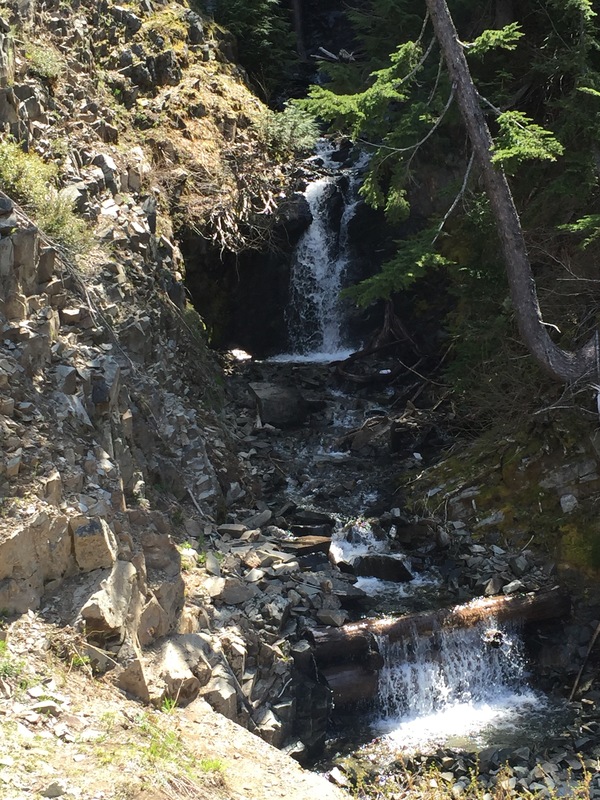 We headed back the way we came, where I stopped to check out this little roadside waterfall. And then we stopped again at this grove of trees, which are so tall that they can’t fit into one shot. 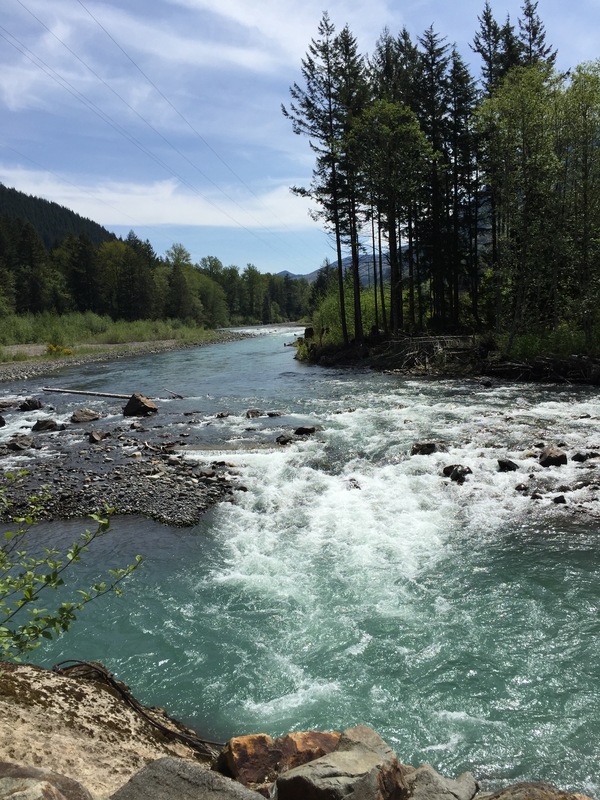 Our final stop of the morning was a place we first visited in January – the White River near Greenwater, WA. Last time we were there, it was cloudy, but it was gloriously clear on this day. That blue water! Right before we fell asleep last night, Tim whispered “I love living here” into the darkness. For a man who doesn’t always articulate what he’s feeling (unless he’s mad about something), those four words spoke volumes. When we came to Washington, we pledged to make it home. Now that we’re planning for the future and dreaming of owning our own home out here, it’s obvious that Washington is home. I couldn’t imagine wanting to be anywhere else. What wonderful photos! I am so glad you are having joy despite being in the midst of pain. Praying for you.